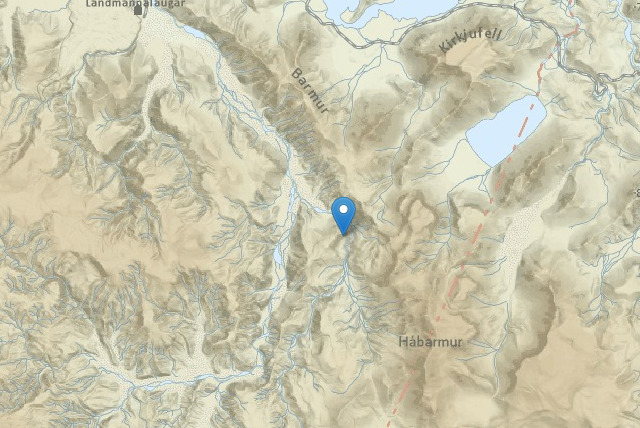 A French tourist who was carried under a massive snow-drift after falling into a river in South Iceland yesterday evening has yet to be found. 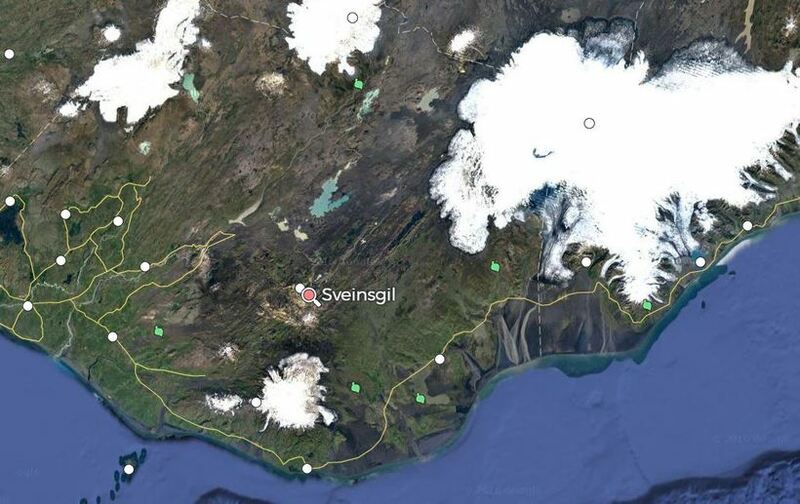 The man and his travelling companion – both well-equipped for hiking and on a usual trail route – were crossing a ‘snow bridge’ over a river in the Sveinsgil ravine in South Iceland, when the bridge gave way beneath them, plunging them into the water. One of the pair was able to clamber to safety and raise the alarm, but the second was dragged by the river underneath the six-metre thick snow-drift. 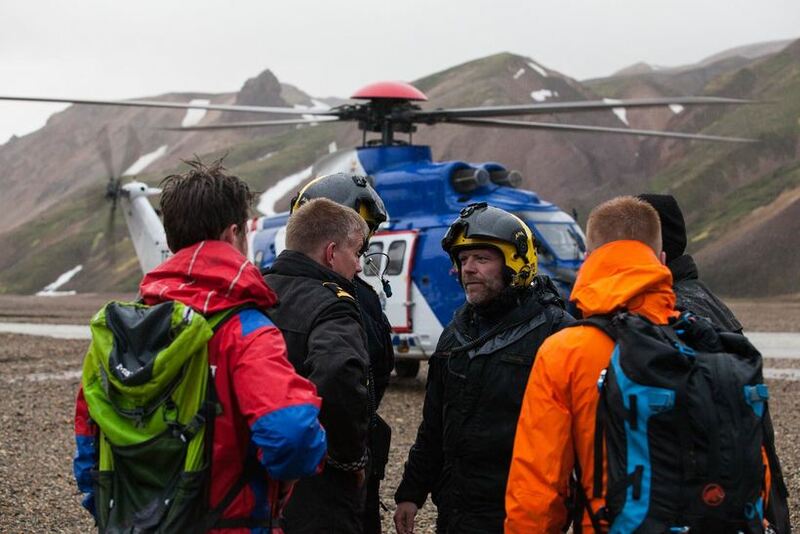 Search and rescue teams from the local area quickly attended the remote scene and a rescue helicopter was also mobilised. 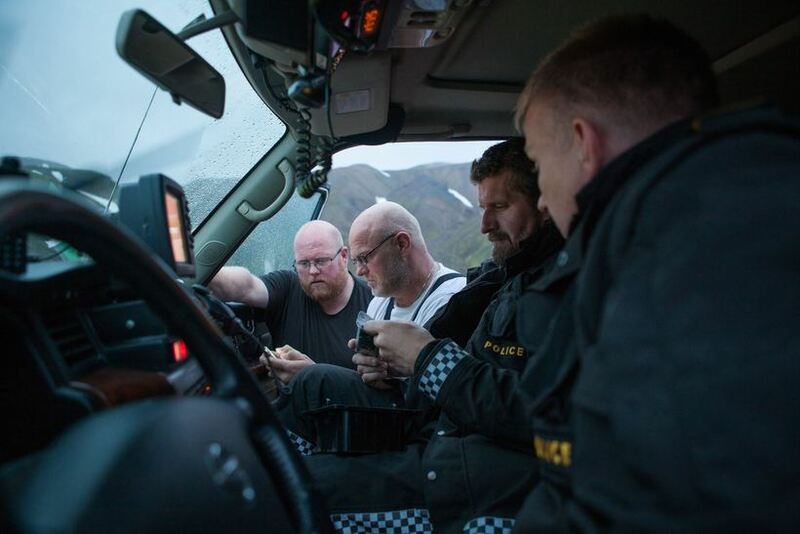 Reinforcements were progressively brought in as the evening wore on – some 300 search and rescue operatives from all over South Iceland and Greater Reykjavik were at one point at the scene. They worked in shifts of sixty to try and clear the huge quantities of densely packed snow imprisoning the man, as weather conditions worsened and visibility fell. By this morning, explosives were being used to loosen up the snow, so that rescuers could dig more effectively. Two holes have been dug down to the river and third is being worked on. The workers are now at risk of severe fatigue from the back-breaking work and it has been suggested that they might be stepped down for a rest period if the lost man is not found today.